New for September 2017: our download page now has a tab for EDA files. Our first example is for designing three-section symmetric couplers, check it out! In all types of engineering software, the term "CAD" is seems to have been replaced with "EDA", which stands for "electronic design automation". We're going to stick with "CAD" since it's faster to say, but feel free to refer to this page as our main "EDA" page. Where to start? Here's a video webinar from our friends over at Keysight. 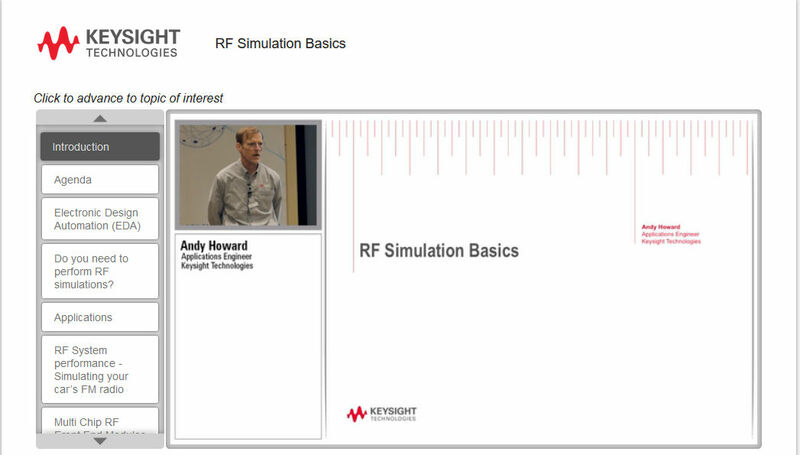 In this video, Andy Howard, Senior EEsof Applications Engineer, guides you through the basics of RF simulation in the Advanced Design System (ADS) environment. For those just getting introduced to RF simulations, this video is a great resource for understanding how and to perform specific types of simulations and why they are necessary. Andy provides six relevant applications to help bring your engineering ideas to life. This video is almost an hour long and is packed with information. It has tabs so that you can skip ahead to sections that you are most interested in, if you have ADHD like most engineers. We recommend that you bookmark the video (or this page) and come back to watch the rest of it if you don't have time now. Free printed circuit board software! Many companies out there offer specialized CPW software that works in conjunction with linear optimizers. There is at least one company that specializes in a simulation tool for CPW, called Coplan. There are a large number of vendors selling filter design software these days, check the ads in any microwave trade journal. You can download a fair amount of filter design software on the web for free, nerds have been writing their own filter code for as long as there have been computers. Heck, even Microwaves101 offers a free download for lumped filter design!